Dr. Heisey is a fellowship-trained surgeon specializing in the treatment of Sports Medicine, Shoulder, Knee and Elbow conditions. 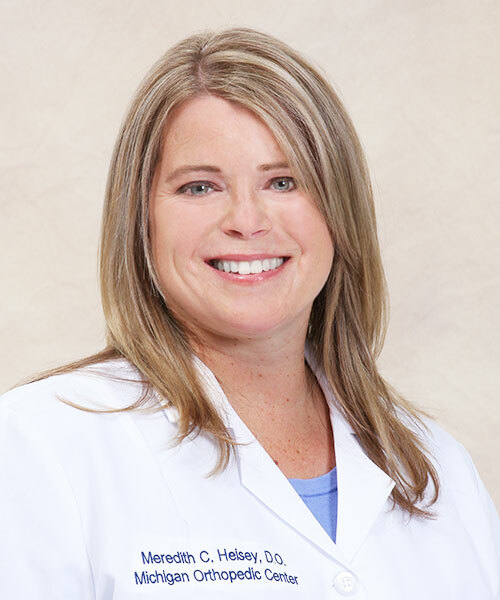 Dr. Heisey believes that her caring bedside manner and approachable personality provide the opportunity to develop a special rapport with her patients. Consistent, clear communication and education are the key components that allow her to build lasting relationships with patients and their loved ones. This approach allows for informed and shared decision making to achieve customized solutions and a more satisfactory healing process. Dr. Heisey is active in clinical research and is the team physician for Lansing Community College. She is involved in teaching in the Michigan State University/McLaren Greater Lansing orthopedic surgery residency program.